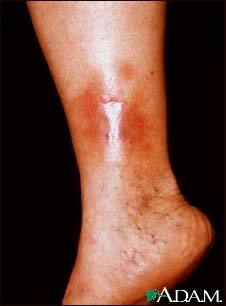 This photograph shows a red to brownish discoloration just above the ankle, known as stasis dermatitis. It results from decreased blood flow. This patient is at risk for cellulitis, a deep infection in the skin.